Fortnite Season 6 Launch Date Announced | Nerd Much? Epic Games has confirmed when we’ll see the launch of Fortnite Season 6 today. The new season will drop on Thursday, September 27th. To celebrate the upcoming launch of Fortnite Season 6, Epic Games has announced a bonus XP event for this weekend. From now until Monday, September 24th at 8:00 a.m. Eastern, 5:00 a.m. Pacific, players will earn 400% Match XP following each game that they play. Hopefully this will get players over the hump and help them to unlock those ever elusive final Battle Pass tiers. Epic confirmed that we’ll begin seeing teases for Fortnite Season 6 next week. Through these teases we’ll get an idea as to what changes are coming to the game before the Season 6 launch on Thursday. 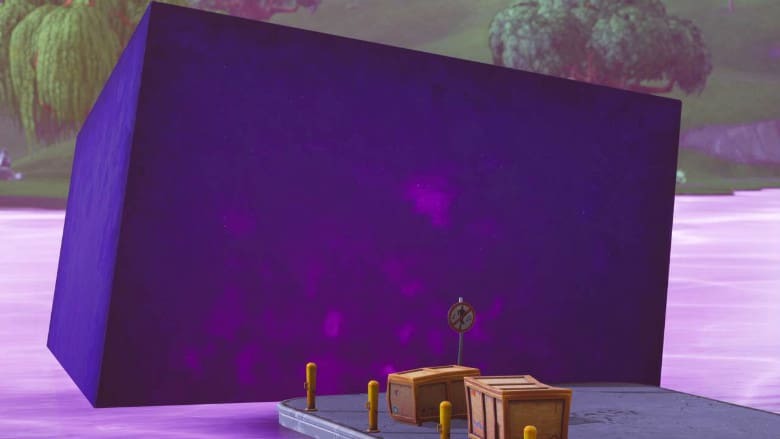 Roughly halfway through Season 5, a giant purple cube appeared onto Fortnite’s map. It was nicknamed “Kevin the Cube” by the Fortnite community. Kevin slowly rolled from Paradise Palms to various other portions of the map. It finally approached Loot Lake just the other day, and as many anticipated, rolled right on into the water. Kevin the Cube began to melt away and mixed with the water of Loot Lake. After dissolving, Kevin the Cube transformed Loot Lake from a body of water into what’s now essentially a large purple bounce house. Instead of falling into liquid when entering Loot Lake, they now instead bounce high into the air. There are likely to be a plethora of other changes introduced to the game when Fortnite Season 6 launches. Kevin the Cube entering the lake was supposed to be the season’s end game. And while it was, Season 6 was delayed a bit so now players will have to wait until next Thursday to see what other changes are headed their way. The extra time could be a blessing to some though. Drop into the map this weekend and reap those 400% XP rewards that have been eluding you all season. Everything resets with the launch of Fortnite Season 6 next week.